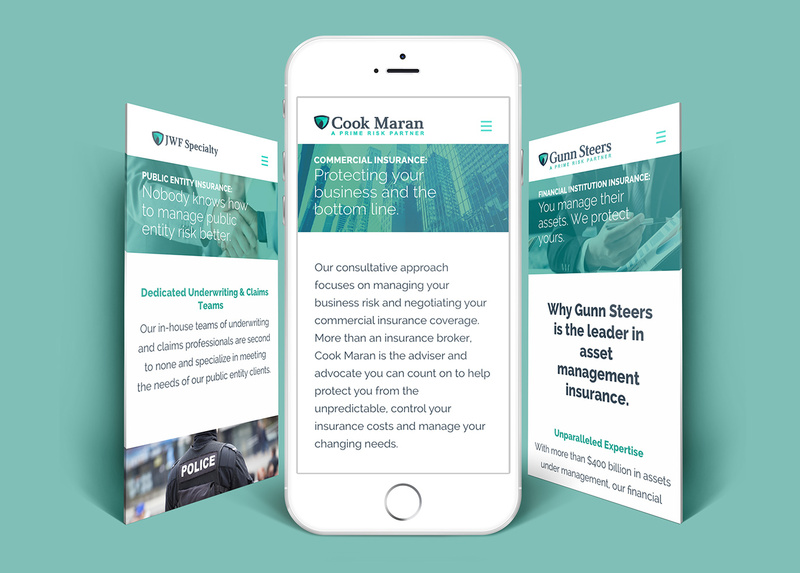 To say Cook Maran is growing is an understatement: In one year, top national insurance broker Prime Risk Partners’ New York platform acquired eight agencies, strengthening their geographic footprint and specialty insurance offerings. Fortunately, we designed their website to grow (easily) right along with them. 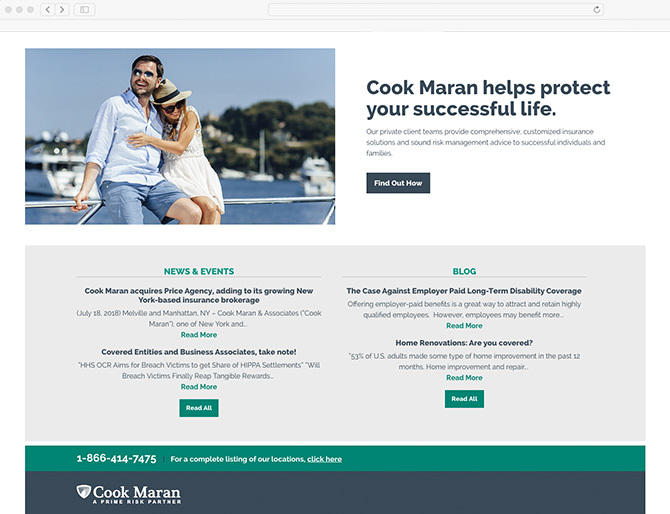 The Cook Maran logo appears boldly on the firm’s home page—and on those of acquired agencies that retain their name—for a singular (and unmistakable) brand identity across the network. CMS-driven dynamic content areas make it easy for each partner agency to make the most of their home page messaging hierachy. 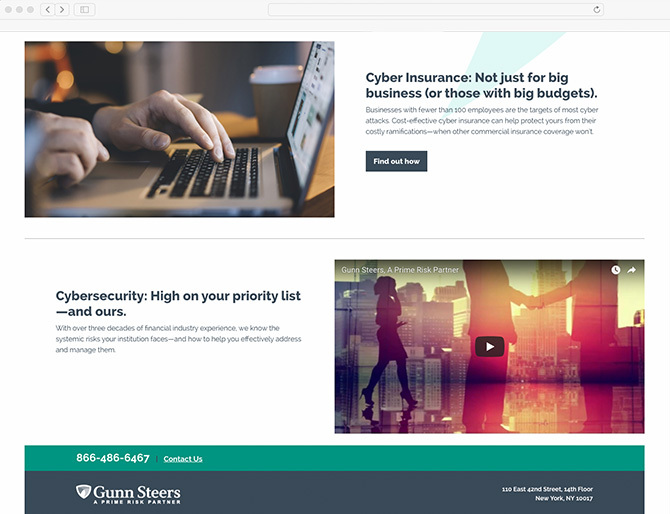 Site functionality also includes an industry-focused selector tool that makes it easy for site visitors to find the broker’s (ever-increasing) lineup of specialty insurance offerings.